To get the smaller medallions, start with your raw materials: one tenderloin and several strips of bacon. You might be tempted to start cutting up the tenderloin right away – after all, it’s supposed to end up in small pieces, right? – but hold that thought. It’s actually easier to do it another way. First, wrap the bacon around the tenderloin with each slice parallel to the others and touching them, but not overlapping. Think of the way it looks when you wear two or three rings on the same finger: the rings might touch each other, but they don’t overlap. 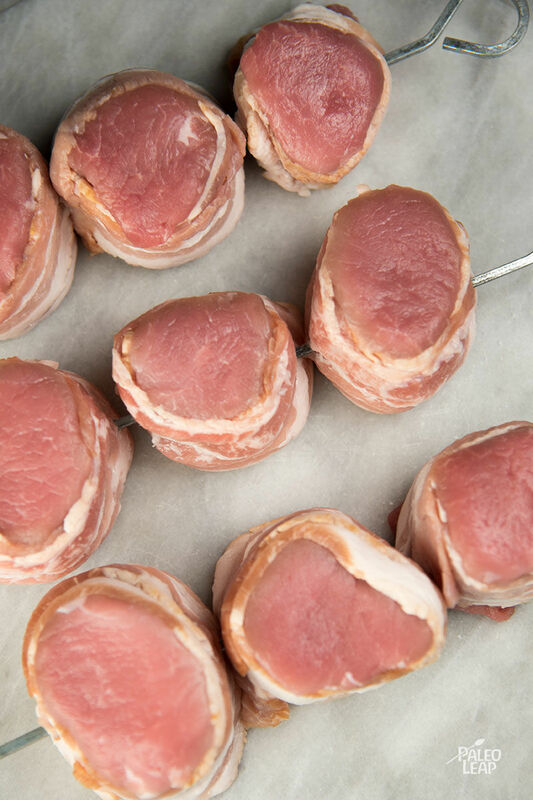 Wrap the bacon around the tenderloin like the rings go around your finger; then you can easily cut medallions all of the same thickness by just cutting between the strips of bacon. This makes sure that they’ll cook evenly and you won’t have to fuss around with holding onto little pieces of tenderloin. 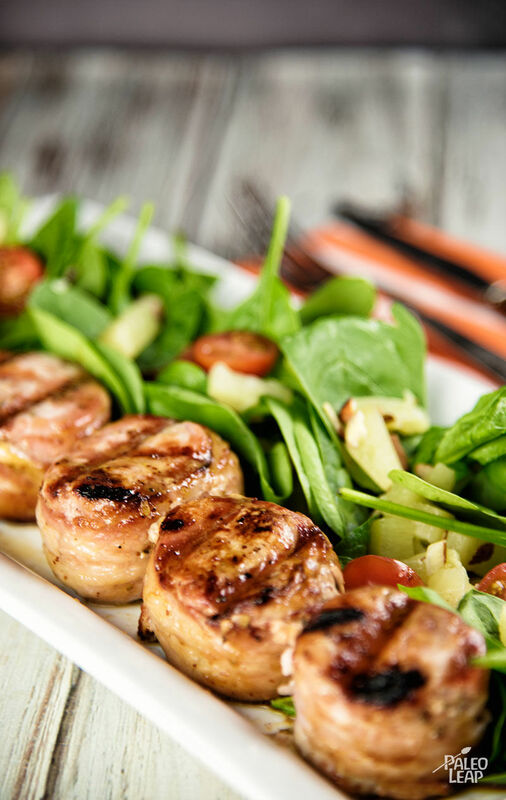 Serve your masterpieces with grilled vegetables, over salad, or beside a big bowl of coleslaw, and enjoy!